THIS November we’re celebrating William E. Barrett’s Birthday. As November winds down, we have one last installment of his “Is That a Fact?” feature from the pages of War Birds magazine! 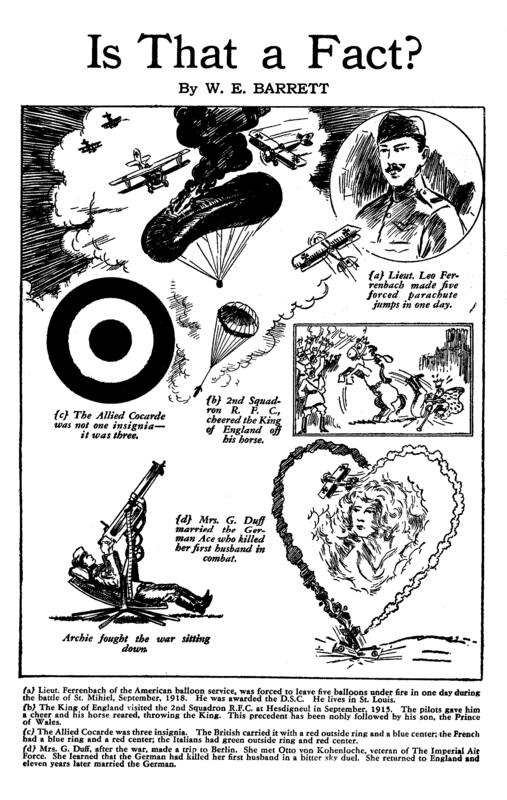 The October 1931 installment, from the pages of War Birds, features fun facts about Lt. Leo Ferrenbach, the Allied Cocarde, and a woman who married the German Ace who killed her first husband in combat! Look for more installments of “Is That a Fact?” coming soon!